(Vero Beach, Fla. – August 10, 2018) Since its establishment in 2008, Indian River Community Foundation (“IRCF”) has carried out a mission of building a better community through donor-driven philanthropy by helping generous residents of Vero Beach and the surrounding area to simplify their giving and give to the causes they love through charitable giving accounts. In doing so, IRCF has collected more than $100 million in charitable contributions, and together with our clients, has distributed more than $50 million in grants to charities with missions ranging from the arts to education to the environment to vulnerable individuals and families. In this same spirit, IRCF is excited to announce the rollout of its “Jumpstart Fundraising” Program. 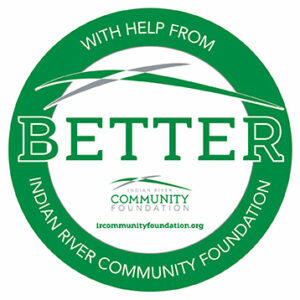 With grants totaling approximately $50,000 awarded from the Better Giving Fund, the Community Foundation has convened its first cohort of nine local charitable organizations to participate in this initiative designed to strengthen their fundraising operations and financial position. This partnership with Network for Good, a Certified B Corporation software company, will bring digital technology, education and coaching that will increase online donations and improve each organizations capacity to raise more unrestricted dollars in support of their charitable missions. IRCF firmly believes that a focus on building the capacity of local charities is the key to unlocking meaningful change this year, and for years to come. According to United Way of Indian River County’s ALICE Report, at least 40 percent of Indian River County households do not have the income needed for a bare-minimum survival budget. These circumstances place increased demands on nonprofit programs in our community that outpace the growth in grant funding available to address critical needs. Compounding these challenges is the fact that, based on data collected from IRCF’s online Nonprofit Search, less than 10 percent of local nonprofit charitable organizations hold more than 12 months of savings on their balance sheets. Improving each organization’s capacity to raise more dollars to support their charitable missions is a key focus of the Jumpstart Fundraising Program.